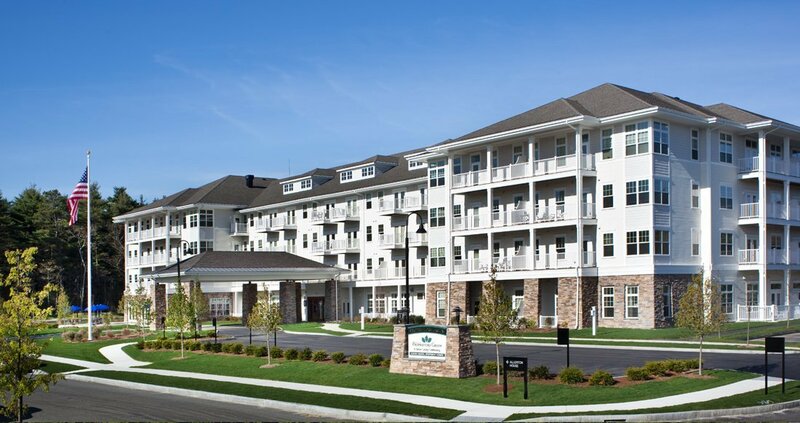 Cranshaw Construction recently completed The Village at Proprietors Green, a 149-unit, 178,000 square foot independent and assisted living facility located off Route 139 in Marshfield, Massachusetts. The building includes 79 independent living apartments, 46 assisted living apartments and 24 units designed to care for residents with memory impairment. Amenities include high-speed internet access, CATV, multi-purpose rooms, formal dining areas, a commercial kitchen, a cafe, a sports lounge, a full theater, libraries and indoor and outdoor entertaining spaces. The project also includes a 25,000 gallon per day waste treatment plant which used GE/Zenon membrane filtration technology.